Following his ascent of Hagshu in 2014 (which received a Piolet d’Or in 2015), veteran Slovenian alpinist Marko Prezelj, who already has three Piolets d’Or to his name, set his sights on the unexplored east side of the nearby Cerro Kishtwar. 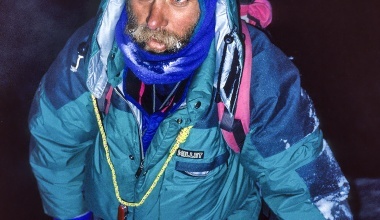 Mick Fowler and Steve Sustad made the first ascent of the peak by the northwest face in 1993. 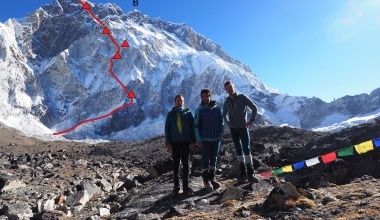 After acclimatizing with a first ascent of the south ridge of Chomochior (6,278m, 1,400m, D+), the four-person team of Marko Prezelj, American Hayden Kennedy (who received a Piolet d’Or in 2013 for his ascent of Baintha Brakk in India), Frenchman Manu Pellissier, and Slovenian Urban Novak made the first ascent of Light Before Wisdom on 5-8 October 2015. The 1,200 m line is rated ED+ (more precisely: 5.11, WI6, M6, A2). 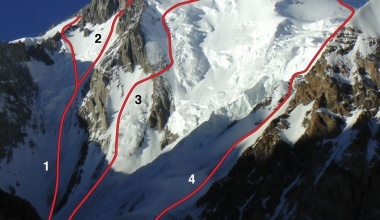 The team descended by the south face and then rappelled the mountain’s east couloir. Hayden grew up in Carbondale, Colorado, and was taught to climb by his father, Michael Kennedy. When Hayden graduated from high school in 2009, he left home and began life on the road. He's not looked back since. He has climbed all over the USA, from free climbs on El Cap to muddy aid routes on the Fisher Towers. He has also spent three seasons climbing in Patagonia, and two full summers climbing in the Karakoram, where his successes include the first ascent of Hassin Peak, and the east face of K7 (both with Kyle Dempster). 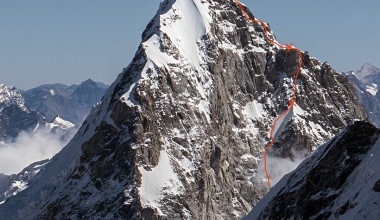 Hayden won a Piolet d’Or in 2013 for his ascent of Baintha Brakk (Ogre 1) by the southeast ridge and the south face with Kyle Dempster. When he is not climbing, he works as a writer, rigger, house painter and Christmas-light hanger. Marko Prezelj was born in 1965. Trained as a chemical engineer, he works as a professional mountain guide, photographer, and as a mentor for a group of young Slovenian alpinists. He enjoys situations that require him to be focused and spontaneous. He says: “Uncertainty is the essence that feeds my curiosity, leading me through life as a son, father, husband, alpinist, mountain guide, photographer, friend, and in most cases, just simply a human. The simple life is my ultimate challenge”. “I was born in Ljubljana on 10 January 1986. I am a member of the Kamnik alpine club. Over the past 12 years I have had the chance to experience many magical moments in the mountains. I would say that the most important outcome of these experiences is the friendships and partnerships that I have been able to form. 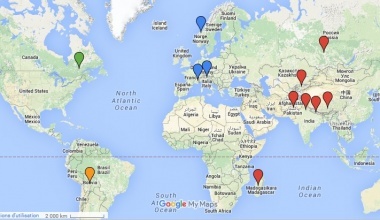 Some highlights include new routes on Pharilapcha (Nepal), Hidden Sud, and K7 (Pakistan). In the case of the latter ascent, we actually learned more from our failure than from our success! When I’m not climbing, I am working on finishing my PhD studies at Slovenia’s National institute of Chemistry and helping my dad on our small family farm”. As a mountain guide and member of France’s elite mountain military group, the Groupe Militaire de Haute Montagne (GMHM) from 2001 to 2010, the 40-year old alpinist has hauled his climbing kit to the mountains of every continent. From his first expedition to the south face of Aconcagua in 1994, to his repeat ascent of Spantik’s legendary Golden Pillar in 2000 with Marko Prezlj, Emmanuel Guy, and the late Attila Ozsvath, Manu has established, climbed, and attempted routes all over the world. 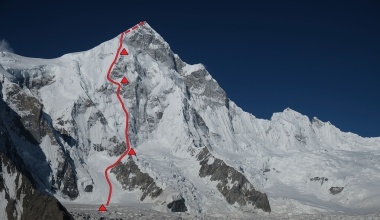 His notable attempts include the north ridge of Rakaposhi and the north face of Jannu. He has made first ascents in Alaska, Iran, Patagonia, and Albania. Manu applies this spirit of exploration to his own home mountains, and recently established a new mixed route in Lauzière. Manu is a sports educator at a residential children’s centre (Association Gai Logis) and the father of three children. What are the "Piolets d'Or" ? 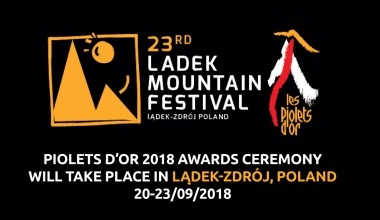 The purpose of the Piolets d'Or awards is to raise awareness about the year's greatest ascents across the world. They aim to celebrate the taste for adventure, the bravery and sense of exploration that lie behind the art of climbing in the world's great mountain ranges. The Piolets d'Or draw their inspiration from mountaineering's rich history. They are a celebration of a sense of partnership and solidarity, of shared experiences, and reward individual or collective achievement. More than just the recognition of a performance, the Piolets d'Or celebrates passion, spirit and values. The spirit of the Piolets d’Or draws its inspiration from the history of alpinism and the authenticity of true team spirit. The style should take precedence over the conquest of an objective. Success is no longer about getting to the summit at all costs, employing all possible financial and technical means, (oxygen, fixed ropes, doping products, etc) or large-scale human resources (high-altitude porters or sherpas). The Piolets d’Or event encourages imagination in searching for innovative routes using a maximum of economy of means, making use of experience and respecting man and nature. The Piolets d’Or is attached to making climbing a shared and valued richness all over the world, capable of attracting the best of human ambitions whilst encompassing moral values and edifying behaviour. The Piolets d'Or event is therefore a celebration of an ethical alpinism, rich in emotion. In 2009, the first Lifetime Achievement Piolet d’Or was awarded to Walter Bonatti. His style of mountaineering perfectly reflected the spirit of thePiolets d’Or. He became a sort of godfather to those who would receive this award after him. 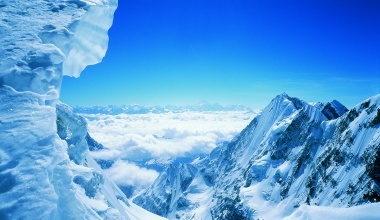 In honour of the man and his spirit, it has been renamed the “Piolet d’Or Lifetime Achievement, Walter Bonatti Award”. The Career Piolets d'Or was created to reward a career where the spirit has inspired the following generations, in the sense of criteria set down by the convention. The Piolets Jeunes is a gathering for diversity, exchange of experience, know-how and cultures. It allows young people to experience a true mountain experience.